Y3W | It's Pool Time! So Quinn's 1st birthday is fast approaching and we have kind of been in a craze trying to get the house ready. And by me, I mean Anthony. He doesn't find my shopping every day for "important" house things to be actual help. Anyway, a while back I had posted about our house and in what condition it was when we bought it. 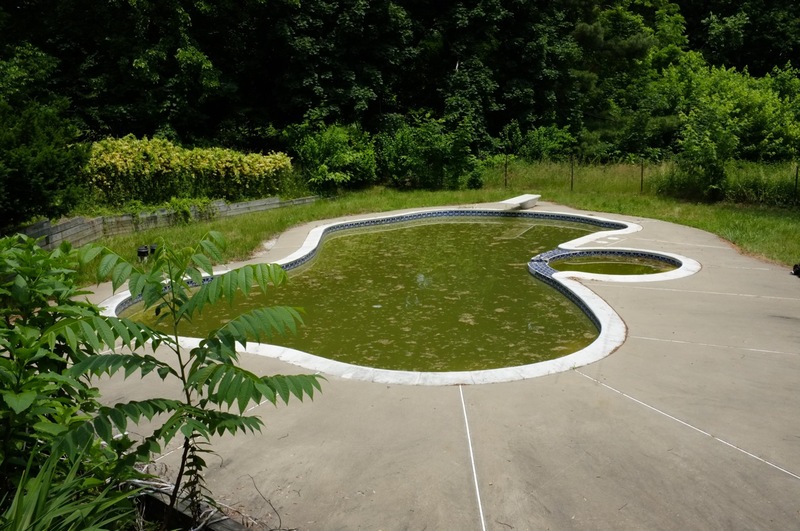 I, of course, wanted nothing more than to jump right into getting the pool ready. Anth on the other hand was more worried about the condition of the parts, pump, electrical, etc. Okay, fine. So after last weekend I am proud to say that my hubby and his dad got all of the electrical, parts and everything else ready and fixed! 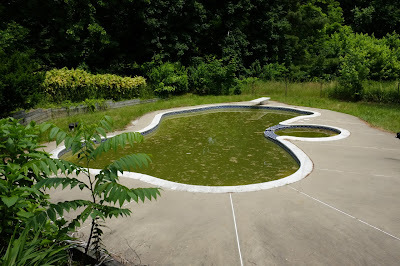 So, I give you the final shot of the pool before we clean her out and fill her up!!! I will also mention that the tiny amount of manual labor I did included removing all of the gross weeds and other crap that were in those flower beds in the bottom left corner. Not pretty, but made a huge difference! Now I just need mama to come over with her flower knowledge and help me "make it pretty".